We work with regional groups, or an individual service. Contact our project officer or submit your request. Consider gathering a few local services together to hold a workshop. A number of NSW Councils have supported groups of ECE services with contributions towards sessions. Talk to us to find out more. 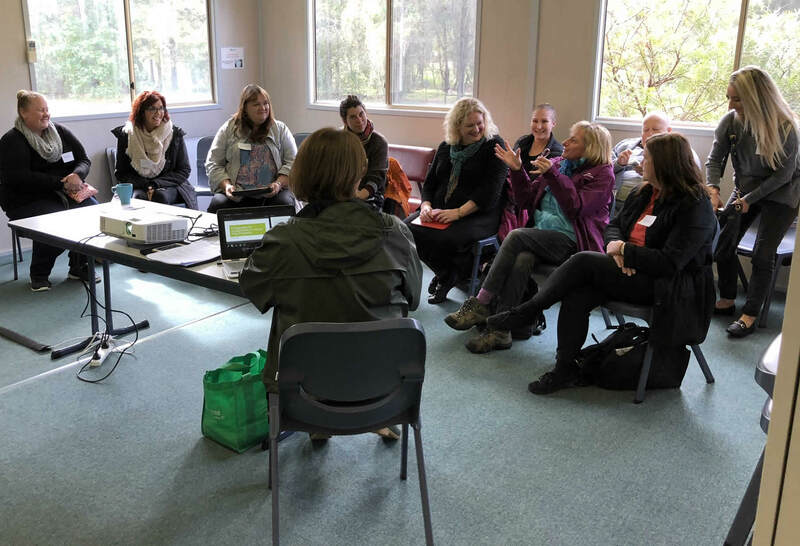 Educating for Sustainable Development is more than greening your physical environment and includes working with staff, families and management to consider educational strategies for living a sustainable life. We seek to work with your strengths and identify areas where a cultural shift is possible. Our trainers are Early Childhood Professionals with an Environmental strength, who understand the unique constraints and demands of working with young children and are very aware of the need to work within Regulations, the NQS and develop effective and efficient strategies. Parent or staff information session: This is a 1 hr presentation suitable for parent meetings as an introduction. Often this is a single presenter. Staff training session: as either a 2 hour presentation on a subject or as a 3 hour session with hands on opportunities. Depending on the subject this may be a single presenter although many of our sessions utilise the skills of a pair of presenters. All sessions support work towards the National Quality Standards. 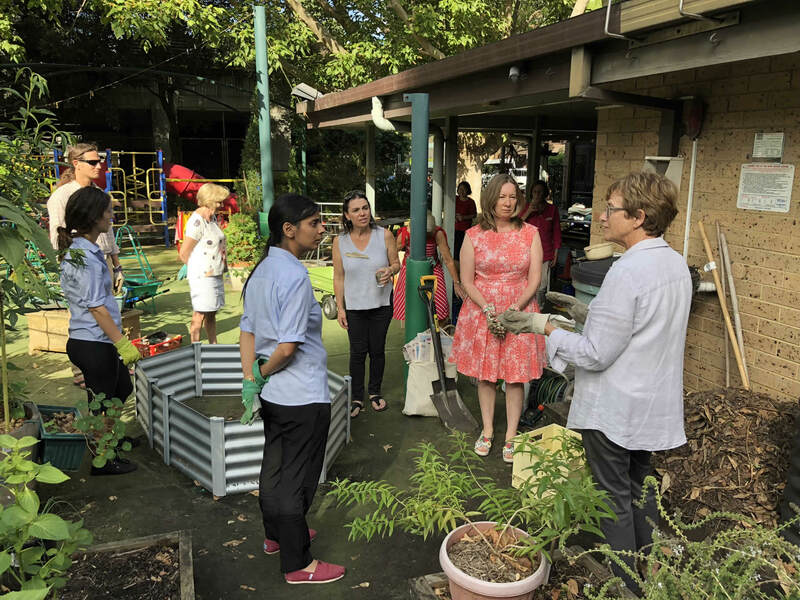 Professional learning Series: Developing from the essential understandings of sustainability these workshops build upon specific topics for a Sustainable Early Childhood service and integrate Eco Smart A Sustainable Standard for the Early Years (2018). These can be tailored to suit your needs either as a 2 Day series of workshops (5 or 6 sessions depending on the time available) or can be presented over a number of weeks of an evening, or late afternoon. Seminars and Conferences. ECEEN is happy to tailor content to your specific requirements and has presenters with many years experience speaking to small and large audiences, both nationally and Internationally. For more information please contact us. The maximum number of participants per event will be confirmed based on type of session, venue, access to support facilities and distance. Generally our basic session for workshops is around 25-30, although we have successfully offered the series to 50 participants with adequate facilities. Costs may need to be negotiated for sessions above 30. Training fees available ( members prices listed- for non members please discuss). Eco Smart for Members Audit: $350 for a 2 hour mentoring session, reviewing your service against Eco Smart audit and supporting the beginning of your QIP. This is a 1 on 1 session includes travel of 25 kms from CBD. Eco Smart for members: These sessions are facilitated by 2 early childhood sustainability consultants. This introduction to Eco Smart supports centres developing a philosophy that includes sustainability and develops an Eco Team to lead the change. $770 for a 2 hr session -includes travel within Sydney metro-25kms from CBD. $990 for a ½ day, anything more than 2 hrs but less than 4 - includes travel and set up times for within 25 km of Sydney. $1800 Full day - 2 workshops. Non members please add a further 10% or join ECEEN- Note membership needs to be at service level for workshops. Electronic resources to support each session available for USB transfer. Car travel costs for events held within a 50Km return trip from Sydney CBD are included in the training fees. Additional car travel costs for events held outside a 50 km return trip will have an additional charge including any tolls and as negotiated prior to confirmation of the booking. Travel time outside of the 50 kms return trip within Sydney CBD area will be charged at $30 per hour. Air travel costs will be negotiated based on available flights and relevant costing. While billeting may be an acceptable alternative if this is not suitable in the following circumstances then accommodation costs will also be charged. the session is 4 hours or over and the venue incurs 2 or more hours travel (one way). Overnight accommodation will include a $50 food allowance per presenter. We request that you notify ECEEN at least 1 week prior to the event being cancelled. Failure to notify within this period will result on a 50 % cancellation fee being charged.